An important piece in any Drupal site is the ability to manage media assets. 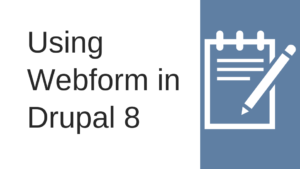 Drupal 7’s capability wasn’t the greatest, but things are getting better in Drupal 8. In the early versions of Drupal 8 (8.3 and below), Media Entity module is what was required when you needed media handling functionality. A lot of this functionality is slowly moving into Drupal core (starting from 8.4), which is great because eventually, it means you won’t have to install a bunch of modules and spend time configuring them. However, if you’re using Drupal 8.5/8.6 there’s still a lot of site building required and this is where this course can help.